A year ago, SAS became first airline to include CO2 offsetting of all Youth Tickets. This was in response to a clear message from young travelers that they wanted to be able to explore the world in a more sustainable way. The initiative has been a success. There has been an increase in the number of young people choosing to travel with SAS over the past 12-month period. Over the past year, SAS has been CO2 offsetting all Youth Tickets, amounting to a total of almost 1.5 million tickets, an increase of five percent. The initiative is part of SAS’ ambition to promote more sustainable travel. “It’s encouraging that young people still want to travel and to return home inspired or to inspire others, and thereby hopefully contribute to a positive development of our society. Conscientious and sustainable travel has never been more relevant. We’re seeing an increase in demand amongst our travelers to make active choices, especially younger people, hence the reason for this investment,” said Lars Andersen Resare, Head of Environment and CSR at SAS. Since April 2018, SAS has been CO2 offsetting all SAS Youth Tickets. Youth Tickets are available for travelers aged 12-25 in the classes ‘SAS Youth GO Smart’ and ‘SAS Youth GO Light’. Youth Tickets can only be booked via the SAS website and prices start from 40 EUR. Since 1 February, SAS has also been CO2 offsetting all tickets booked using a EuroBonus number. Extra baggage. Traveling light is the new way to travel. However, flexibility is also important for many people, so it is still possible to book more checked baggage if necessary. Choice of meals. Pre-order your favorite menu and get the meal of your choice while helping to reduce food waste. A wide range of meals is available whatever your preferences or allergies. Organic and locally grown. SAS’s award-winning food concept ‘New Nordic by SAS’ focuses on sustainability and quality, with seasonal, locally produced ingredients from small-scale producers. Our spring and summer menus contain products from 32 passionate producers. CO2 offsetting is a solution which is used after emissions from SAS’s own operations have been reduced as much as possible using current technology. Based on flight statistics and data, a corresponding quantity of CO2 emissions is compensated using emissions-reducing mechanisms linked to investments in other sectors. SAS exclusively purchases CO2 compensation from energy projects linked to renewable energy conversions in the form of wind power. In order to reduce SAS’s emissions, a number of initiatives are under way within the framework of SAS’s environmental management system, which is certified under ISO14001. One example is the introduction of one of the most fuel efficient aircraft available on the market, the Airbus A320neo. Another example is SAS’s work to actively promote the commercialisation of biofuels for aviation. SAS has set a target of reducing its CO2 emissions by 25 percent by the year 2030 compared to base year 2005. 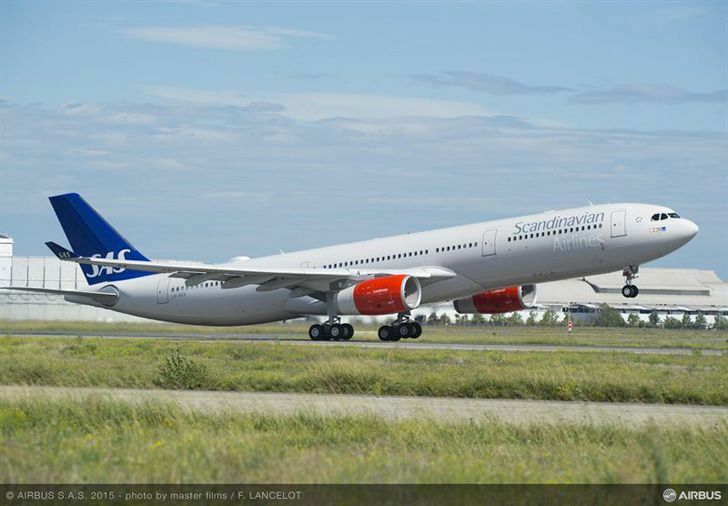 Furthermore, SAS will operate with biofuel corresponding to total fuel consumption for all SAS domestic flights within Scandinavia by the year 2030.